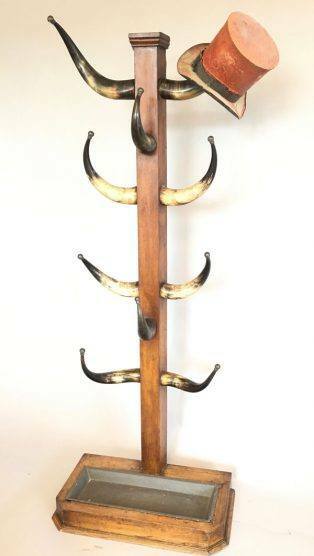 An unusual antique oak horn mounted coat/hat rack stand . 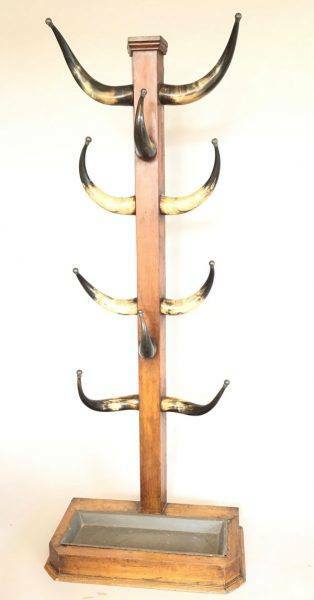 This 19th century antique coat stand has cow horns as hooks, they have metal tips. 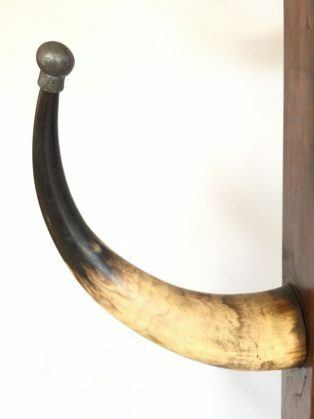 The column is solid antique oak. 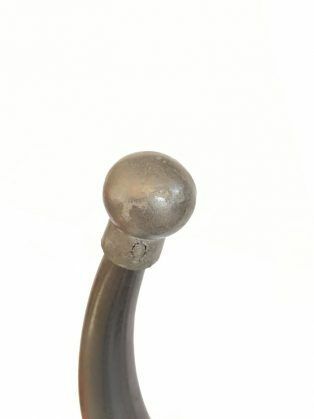 The coat stand is English and is in super, original condition.